My family absolutely loves copy-cat Cafe Rio Cilantro Lime Rice. I serve it in tacos, burritos, or as a side dish with enchiladas or empanadas. In fact, lately we’ve been eating it so often lately that I figured I should find a way to make it at least a little more healthy. Using brown rice only takes about 20 extra minutes and I was worried my picky eaters would scoff at the change but they ate it up! If you are looking for a vegetarian version of this recipe just substitute the chicken stock for veggie stock or water. You can use bottled lime juice instead of fresh if you’d like, but I really think the fresh lime juice makes a big difference in this recipe! 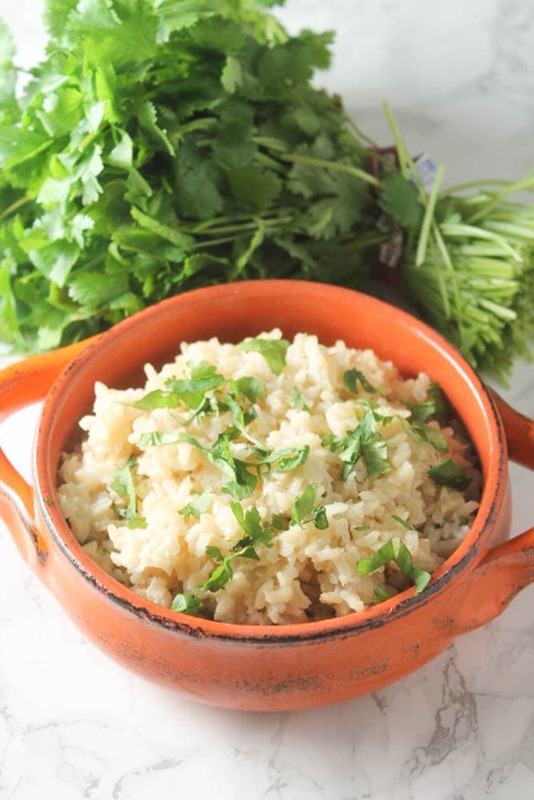 Combine rice, chicken broth, olive oil, and salt in a medium sized pot. Bring to a boil. Cover with a lid, reduce heat to low and cook until rice is tender, about 45 minutes. 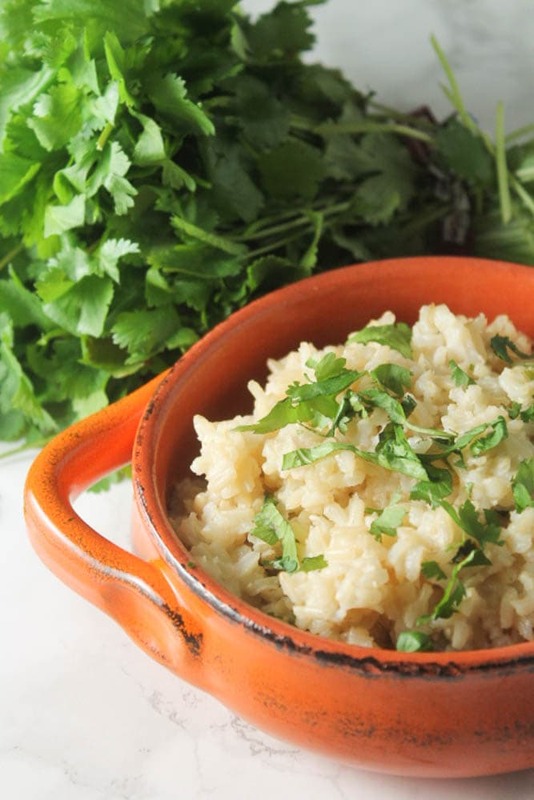 When rice is done cooking, stir in lime juice, sugar, and cilantro. Fluff rice and serve.